Annual Mediterranean species with good cut flower qualities, but new in the marketplace. 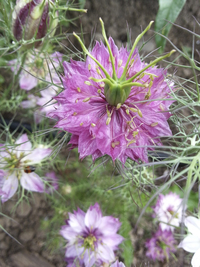 Can be fall planted in warm winter zones, or direct seeded as early as possible in spring. 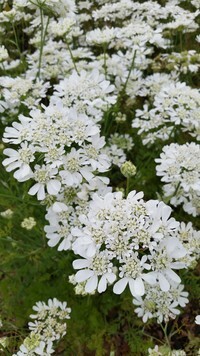 Lacy white flower umbels have a strong resemblance to cilantro, but are more substantial. The green seed heads are completely unique as cut items.